Book Description: On a career path that one could only call circuitous, Joanne Sonenshine learned that what fulfilled her the most was, in many cases, the opposite of what she had originally planned for her journey. The tragedy that struck America on September 11, 2001 changed how she saw her life and her role in the world. It also changed what she thought she wanted in her career. With new priorities, she made some serious course corrections, and pointed herself toward fulfillment – a more complicated and subjective path, but ultimately more rewarding. 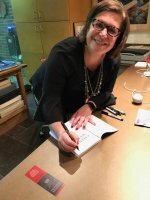 Now, with the perspective of hindsight, Sonenshine has condensed her experiences, and those of others who have made significant shifts in their professional and personal lives in order to improve the lives of many, into ChangeSeekers, a call to everyone who wants to make a difference and find their path to impact. Sonenshine’s message is clear: Always question where you are headed and why. Take risks, explore creativity, find new ways of adding experience and relationships to your life. Question authority. Be curious, be brave, and find your passion. Author bio: Joanne Sonenshine is Founder + CEO of Connective Impact, an advisory firm aiding organizations in strategic goal development, partnership strategy, fundraising diversification, and collective thinking in order to solve some of the most complex problems of our time. Originally from Cleveland, Ohio, Joanne is a trained development economist and has been living and working in the Washington, D.C. area since 2004. Her professional experiences have included working at the U.S. Department of Commerce International Trade Association, as a registered lobbyist advocating for more comprehensive environmental sustainability regulations, and as a program director for a large international NGO working on climate change, land use, and agriculture investments. Joanne lives in Arlington, Virginia, with her husband and two boys. 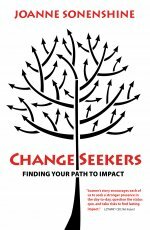 ChangeSeekers: Finding Your Path to Impact, is Joanne’s first book. Are you looking for ways to diversify your organization’s funding sources? Joanne will share how to prioritize goals, refine fundraising objectives and determine the best use of resources to bring in greater funding. How do you move on from a career that is not feeling fulfilled or impactful? 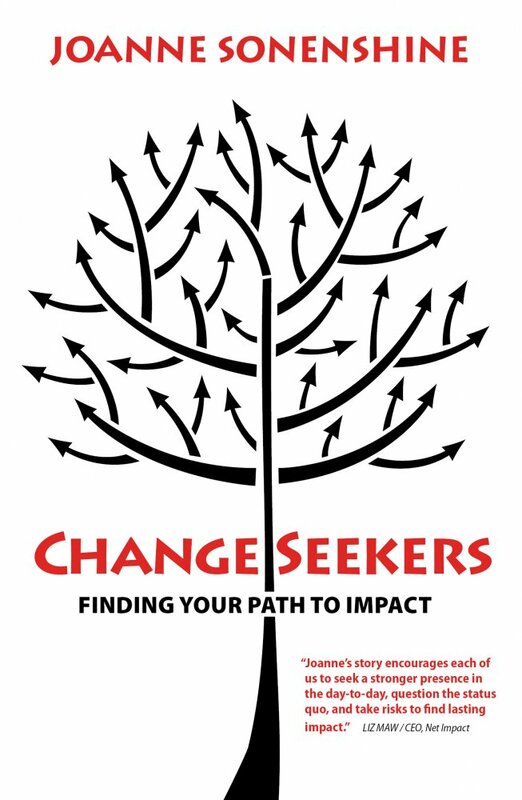 Joanne will share highlights from ChangeSeekers, her professional and personal journey to find meaning in her day-to-day.